The long wait of finally getting an admission to a B school got over and the most awaited journey at IMT Ghaziabad began. The first day at college was like a treasure hunt. Every student was running around in the campus searching for Admission form, Dining Hall, Hostel Form, Hostel Room and Room Partner. In the evening we finally got to see the campus in and out and all the effort seemed worthy now. The food in the Dining Hall was absolutely fantastic and for food lovers like me it is heaven on earth. The 1st week began with the foundation module which included a series of guest lectures and interactive sessions by Industry persons, IMT Ghaziabad Alumni and Art of Living Teachers. It was hilarious, vivacious, inspiring and informative. It also gave us an opportunity to meet the whole batch at one place and see the Ghaziabad city in the evenings, for which we hardly get time now. Then started the traditional marathon for getting into the Club/Committee. I wonder if any B school in India would have more number of Club/Committees than IMT Ghaziabad. The overnight selection process and multiple rounds conducted made sure that we slept during the lectures and ended up missing couple of them. Fortunately the run was not very long for me and I got into Media Relations and Ranking Committee. 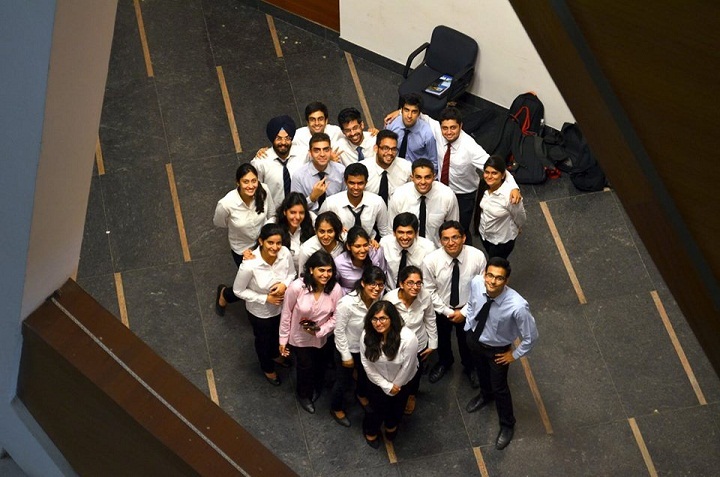 IMT Ghaziabad is known for its parties. I did know that I was up for one when I get into any Committee/Club. The night seemed short when we started the party and the only sign of party ending was the ray of sunshine. The fun hours don’t last long at IMT Ghaziabad and the Quizzes and Presentations make sure that they don’t. But little wonderful times like listening to a fellow student singing and playing Guitar/Violin at Nescafe or Birthday bash at Amphi gives us the drive to sail another day across. I think the IMTian spirit has begun to take its form in us.